In December 2004, forestry giant Gunns Ltd sued Bob Brown, The Wilderness Society and eighteen other environmentalists as a result of the campaign to protect Tasmania’s forests. During the next five years, Gunns suffered a series of legal losses and capitulated against many of the defendants, paying them over $1m in costs. It was left with an expensive rump of a case against a handful of defendants. This book tells the inside story of the defence of the Gunns 20 case and of a number of other similar, but no less dangerous, law suits. 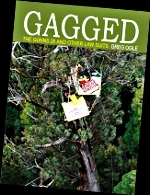 In a personal account of more than a decade defending so-called “SLAPP suits” over the Hindmarsh Island bridge, battery hens and the Tasmanian forests, this book tells the history of the cases and their impact on the defendants and the community. It illustrates the effect of such litigation on free speech and political protest, and makes a call for law reform to ensure that these incursions on civil liberties never happen again. 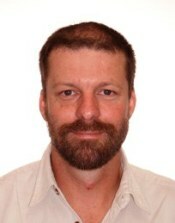 Geoff Law, adventurer, conservationist, defendant. Heidi Douglas, film maker, defendant. Brian Martin, "Book Review: Gagged" in The Whistle, No. 61, January 2010. I don’t know if that [Gunns 20] case, or the case against Frank Nicklason, will actually get to trial, [but] apart from the very real impact on the defendants, I don’t think any trial outcome matters to my main argument. The central issue was never about the merits of the case, but rather that it should never have been in court. The effect of the case on people, on political protest and public debate were felt long before a trial. I may be surprised, but I can see no conceivable trial outcome that would change that argument. There was no trial outcome. On 9 October 2009, Frank Nicklason settled with an apology for not going to Gunns before going to the media (not an apology for the content of what he said) and promptly re-stated his objections. There were no winners. Two defendants in original case, Louise Morris and Neal Funnel gave limited undertakings and exited the case in late November 2009, meaning the only claims left in the case related to a couple of protests at Lucaston in 2003. On the eve of the scheduled trial (2 February 2010), Gunns settled these claims as well, paying the defendants $155,000 for their trouble. The dynamics leading to settlement were not very different from The Wilderness Society settlement described in the book, but if anything Gunns was under more pressure. We celebrated, and the best end of case summary was probably the carton in the Hobart Mercury.